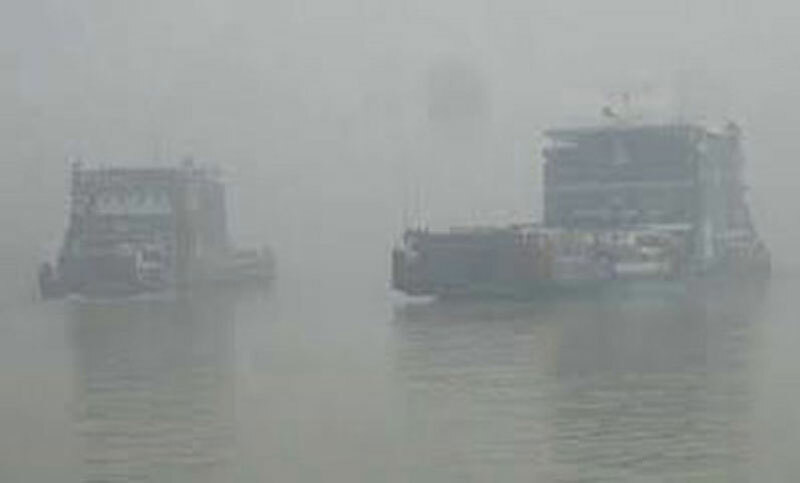 Ferry services on Paturia-Daulatdia route suspended due to dense of fog on Friday. Mohiuddin Rasel, manager (commercial) of BIWTC at Aricha station, said they kept suspended ferry services on the route from 8 am due to blurred visibility caused by thick fog. Six ferries remained stranded at Patuaria ghat and five at Daulatdia ghat while four ferries in the mid-river, said the official.